Create an unforgettable Father’s Day Book with this printable card for dads. A great DIY gift for dads that your kids can personalize! We love making something homemade for dad. We have done bean mosaics and bag books in the past and he always loved the extra effort. They are great to look back at when your little ones aren’t so little anymore. 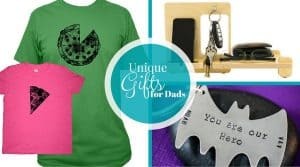 When you are done creating your homemade gift check out our favorite unique gift ideas for dad to go along with! 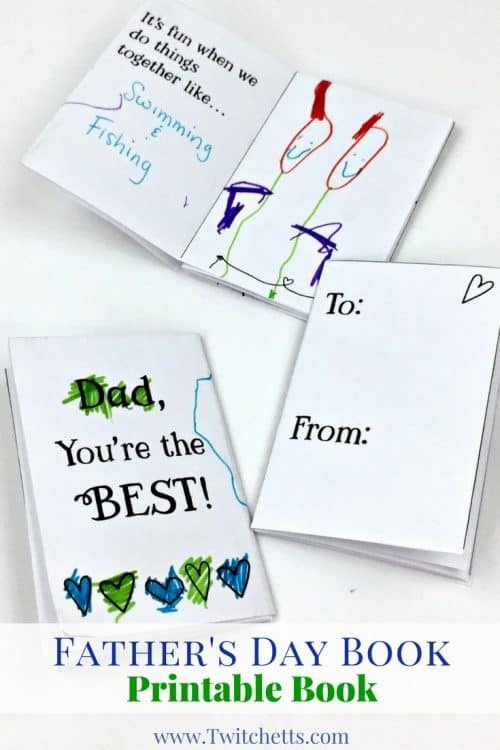 Check out this quick 2-minute video to show you how to assemble your card for dads! 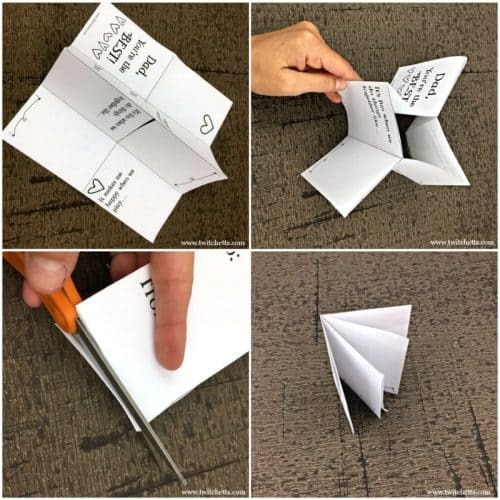 We saw an adorable Letter A book online and realized these fun 8 page flip books could be used for just about anything! Including this fun booklet for Dad. 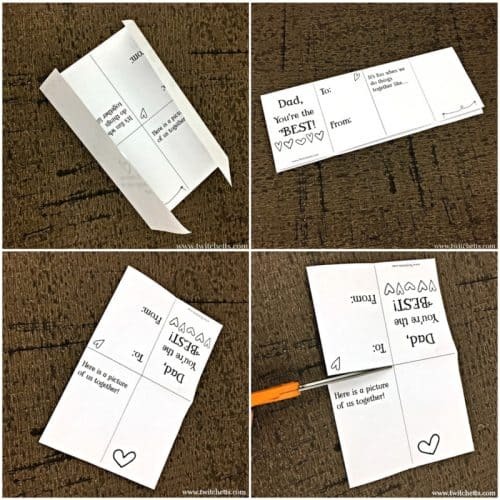 This card for dads is great because there is no glue or tape needed. 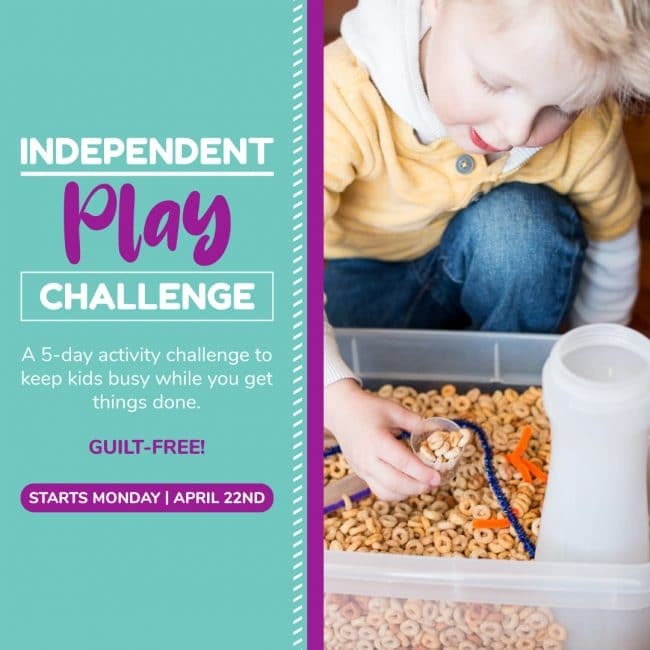 Just print, fold, and pass off to your kiddo! 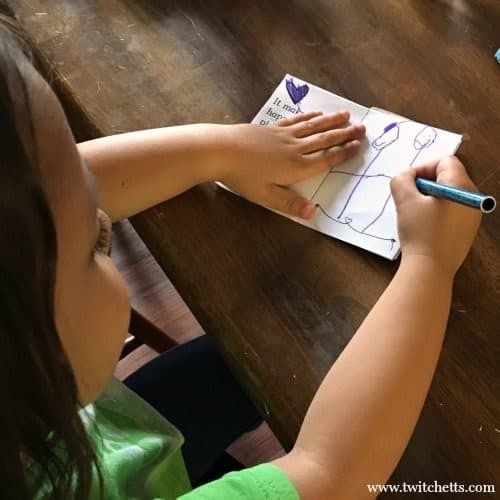 There are plenty of spaces and hearts for your little one to create and color. For my daughter, I asked her the statements as questions and filled in her answers. Then she drew a picture to go along. An older child could just write in their answers on their own. 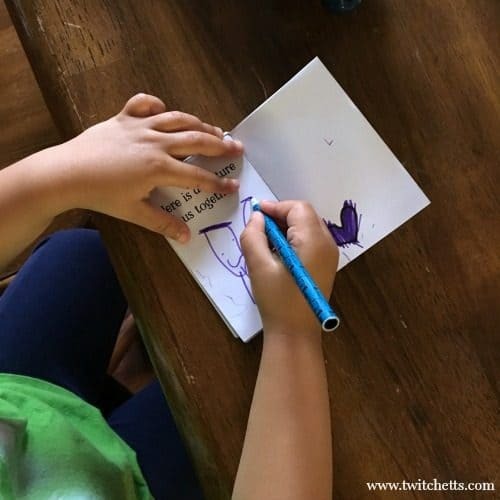 If they are just learning their letters, write the word DAD on a piece of paper and let them try to add it to the cover! I think we have read through the book at least 20 times. She can’t wait to give it to her dad…. I have a feeling it will be before Father’s Day. I don’t blame her because I know he will love it! 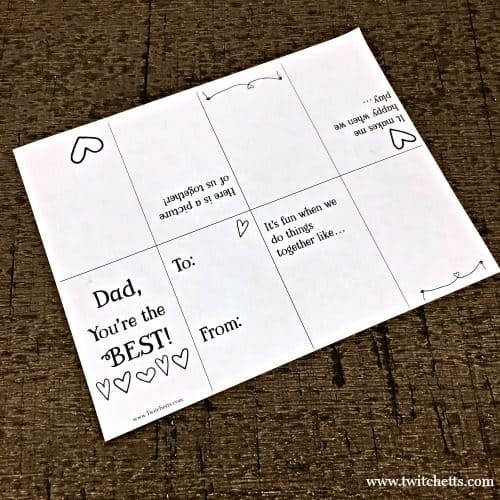 Grab your FREE Printable card for dads HERE! and don’t forget to browse for something special for dad HERE!